Variety entertainment news site, based on photos that have surfaced, is speculating that actor Liam Neeson is reprising his role of Ra’s al Ghul in the latest Batman movie, The Dark Knight Rises. Purportedly the pictures are of the Lazarus Pit (used by the Ghul). In addition the role of Josh Pence is believed to be a young Ra’s al Ghul as well as Marion Cotillard’s character being that of Talia al Ghul. 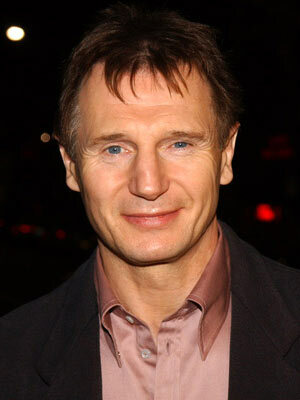 Neeson has reportedly already filmed a scene in London, although Warner Bros. has made no comment about the casting. Star Wars has released an extended trailer for season 4. Looks like we’re going to Mon Cal this season. Thanks, TOS, for the preview. 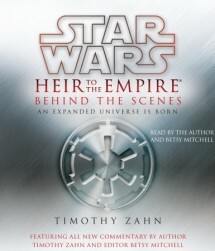 Random House Audio has an excerpt for the first chapter of Star Wars: Heir to the Empire: Behind the Scenes: An Expanded Universe is Born, featuring the voices of actor Marc Thompson, editor Betsy Mitchell, and author Timothy Zahn. Timothy Zahn wanted a military villain, but an Admiral seemed too ordinary so he chose a Grand Admiral instead. He first discovered the rank in Orville Prescott’s The Rise and Fall of the Third Reich. Just like The Original Trilogy, Zahn wanted to feature a Star Destroyer in his Rebellion-era books’ opening scenes. Grand Admirals were appointed and only answerable to the Emperor. The idea of Darth Vader’s elite troopers, 501st Legion, “played with in other books.” Perhaps a reference to Allegiance or Choices of One? You can listen to the excerpt here at Random House Audio. Star Wars: Heir to the Empire: Behind the Scenes will be available as an unabridged audiobook download and traditional compact disc format September 6, 2011. If you can’t wait til then, the above excerpt can be downloaded as well! Star Wars TV show writer revealed! A source has revealed to us that British writer, Matthew Graham, is one of the team that Lucas recruited to the project. We got in touch with Matthew Graham and asked him whether the news was true. All he would say to us was that he had done some work out at LucasFilm during 2008 and 2009 “on something unbelievably cool”, and that his contract “had come to an end”. “I hope one day I’ll be able to talk about it,” he told us. Read the full article on Den of Geek. Roqoo Depot has reached out to Lucasfilm Ltd. to officially confirm this story, but received no response at this time. Call this a “Science Tuesday Supplemental”. It’s supplemental because it’s Wednesday. After calling the cosmos and being turned down in my request to move today’s lunar eclipse to either a Tuesday or Thursday, as those are the normal days for our real science reports here on Roqoo Depot, I’ve decided that this was too big an event to let slide. Thus, we have our supplemental report. 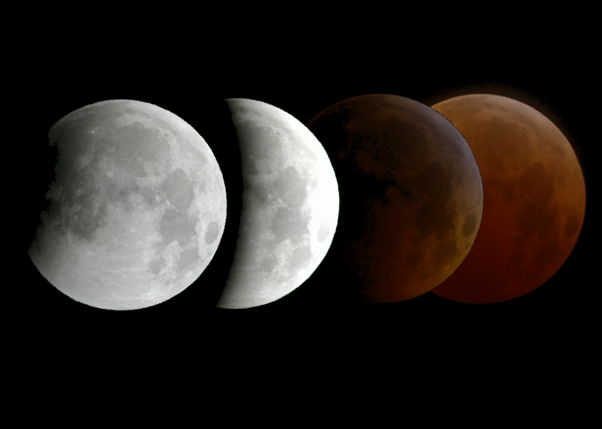 In order to allow everyone on Earth with an internet connection to view today’s Lunar eclipse, scheduled to begin at 11:20 PDT (2:20 EDT) the good folks at Google will be providing a variety of viewing options for North American astronomy enthusiasts who will sadly miss the event due to daylight. Your first option would be to watch the live streaming video on the Google Youtube channel which can be accessed by clicking here. Another method of viewing would by via the Slooh Space Camera app for Android phone users. You can download the app by clicking here. Last but not least, you can view from your computer desktop by simply downloading and installing Google Earth to your computer. You will find the download page by clicking here. While watching the livestream on Youtube seems to be the easiest way to watch today’s awesome astronomical attraction, I suggest either the Slooh app or Google Earth for anyone with a real interest in viewing images of our planet and the space around it on a regular basis. So for you lucky folks around the world who will see the eclipse in real time, live and in person, enjoy the show you lunatics. Those of us here in North America will have to enjoy the show on line. 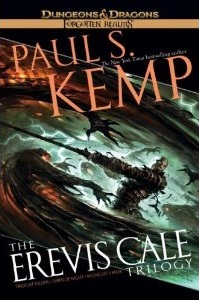 Continuing the Erevis Cale saga written by Paul S. Kemp (author of Deceived and Crosscurrent), I jumped into Dawn of Night. This story delves into dark places with even darker characters. A new villain is revealed with startling power and an intriguing personal philosophy, and readers get to enjoy a healthy dose of characters and action. Click here to read the full review. 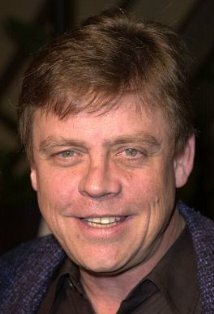 In case you didn’t know, Mark Hamill joined Twitter recently and in the last couple days he’s been answering a lot of fan questions. If you have a question you’d like to ask him, or if you’d just like to check out his answers, then head on over to his Twitter page and check it out. Q: Who was the most difficult actor to work with on Star Wars? Hamill: Yoda-he kept breaking down! Very temperamental! Latest Databurst From the 501st event news. Be sure to mark your calendars and show your support. Southern California Garrison will be in Del Mar, CA for the Weird Al Concert. Ohio Garrison will be in Ashley, OH for Muscular Dystrophy Summer Camp. Wisconsin Garrison will be in Green Bay, WI for the Green Bay Bullfrogs Baseball game. 70th Explorers Garrison will be in Kansas City, KS for Star Wars Night at KC T-Bones. Southern California Garrison will be in San Diego, CA for the Legoland News Shoot. Ohio Garrison will be in Cleveland, OH for the Cleveland Clinic visit. Central Garrison will be in St. Louis Park, MN for the Parktacular Parade. Garrison will be in Carida Philadelphia, PA for Wizard World Philadelphia Comic Con from June 17-19th. Mexican will be in Garrison México, Distrito Federal for ExpoComic México from June 17-19th. Central Garrison will be in Waterloo, IA for Star Wars Night at the Waterloo Bucks game. Garrison Carida will be in Bellefonte, PA for the Bellefonte Cruise. German Garrison will be in Gunstadt for Science-Fiction Tage Grunstadt and in Billund, Denmark at Legoland. Great Lakes Garrison will be in Byron Center, MI for the Chalk Art Festival. Empire City Garrison will be in Garden City, NY at the Cradle of Aviation Museum. Nordic Garrison will be in Billund, Denmark at Legoland. Timberline Garrison will be in Pocatello, ID for the Brooklyn’s Playground Fundraiser 5k Fun Run. Southern California Garrison will be in Carlsbad, CA for Legoland Star Wars Weekend from June 18-19th. Japanese Garrison will be in Tokyo, Japan for the Tokyo Toy Show at the Lego booth from June 18-19th. Canadian Garrison will be in Montreal, Quebec for Toycon Montreal. Ohio Garrison will be in Columbus, OH Columbus for Toy Show II. Garrison Carida will be in Ripley, WV for the Muscular Dystrophy Summer Camp. Great Lakes Garrison will be in Harper Woods, MI for Harper Woods Library Star Wars Night.